Product categories of Adjusting Valve, we are specialized manufacturers from China, Adjusting Valve, Adjustment Butterfly Valve suppliers/factory, wholesale high-quality products of Stainless Steel Adjusting Valve R & D and manufacturing, we have the perfect after-sales service and technical support. Look forward to your cooperation! The Adjusting Valve belongs to the control valve series. The main function is to adjust the pressure, flow rate, temperature and other parameters of the medium. It is the final control element in the process loop. The adjusting valve, also known as the control valve, in the field of industrial automation process control, by receiving the control signal output from the adjustment control unit, with the help of power operation to change the final control element of the medium flow, pressure, temperature, liquid level and other process parameters. Generally consists of actuators and valves. 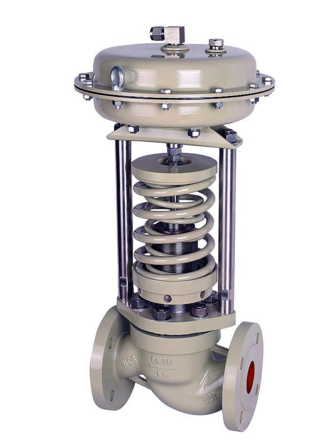 If according to the travel characteristics, the regulating valve can be divided into straight stroke and angular stroke; according to the power used by the implementing agencies, it can be divided into three types: pneumatic regulating valve, Electric Regulating Valve and hydraulic moving regulating valve; according to their functions and characteristics There are three kinds of linear characteristics, equal percentage characteristics and parabolic characteristics. Regulating valve is suitable for air, water, steam, various corrosive media, mud, oil and other media.